Make Apple TV your stage. Transform your presentation experience with the Zoho Show app. 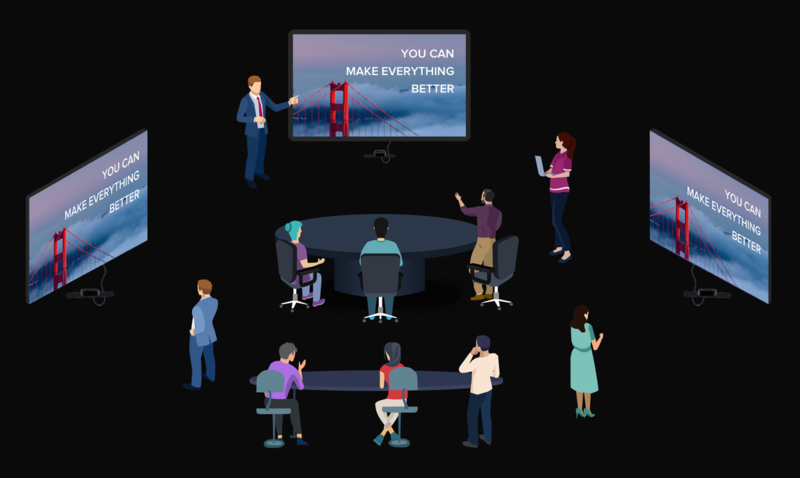 Watch your presentations come to life. Your slides look crisp and clean. Ditch the messy cables and blurry displays. Watch your slides come to life with Apple TV's 4K HDR display. Zoho Show's vector graphics rendering ensures that your slides look crisp and clean on any screen. Run multiple sessions smoothly. No need to worry about different presenters signing into a single app or sharing slide decks to a common account. Your phone is your smart remote. 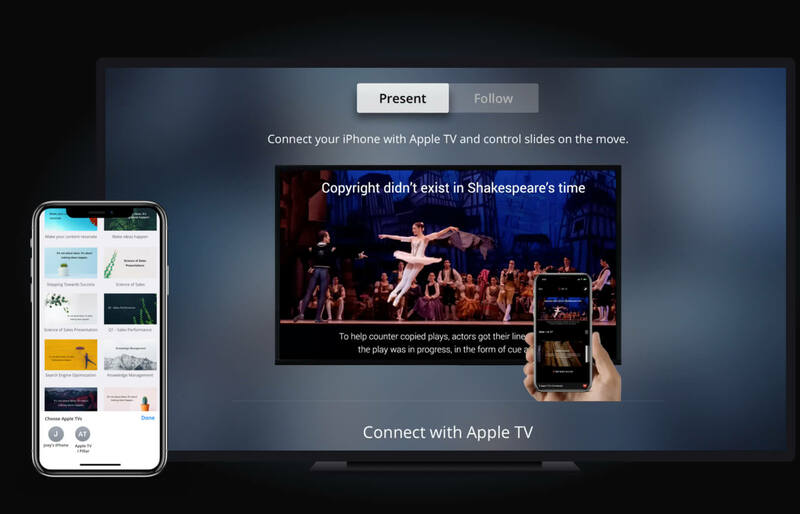 Show uses multipeer connectivity to connect your iPhone or iPad to the Apple TV. View and control slides on your own terms. Scribble, highlight, refer to slide notes, and see what's next on your slide deck. Today's technology is all about touch, whether it's smartphones or laptops. So why would you still use a clicker for presentations? Say hello to smooth navigation and control your slides with Apple TV Remote. 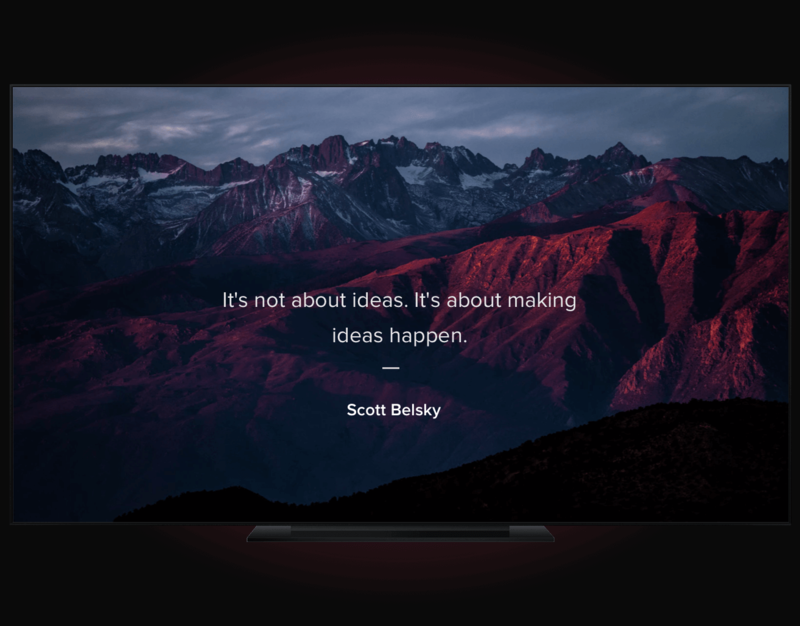 Run your show on multiple Apple TVs. Connect your iPhone or iPad to multiple Apple TVs and control your sessions at your fingertips. 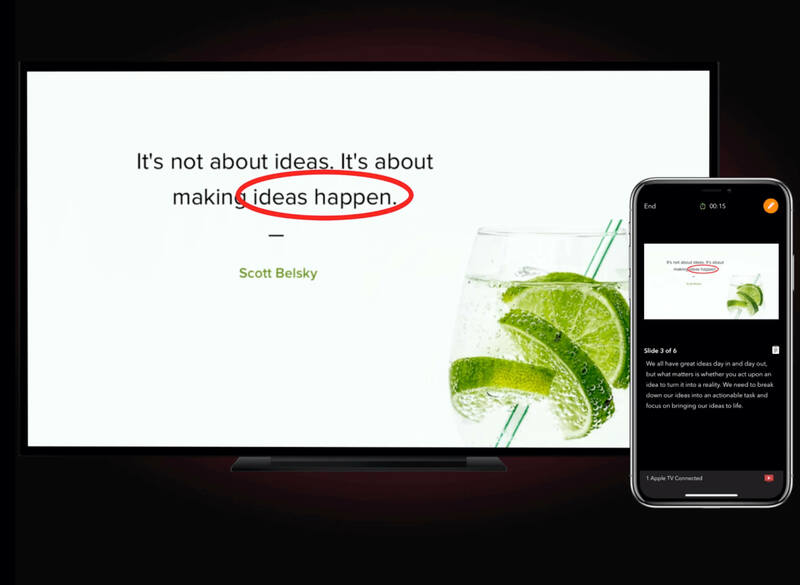 When you need to present to a larger audience, tune in to ongoing presentations and follow them from multiple Apple TVs. Search to access all of your presentations, whether you created them or they were shared with you on the web. Deliver presentations conveniently, whether you're giving a talk at your workplace or running a loop at a trade show.